Leaf is known for creating some fun niche products. Sometimes these products will return year after year, while others will be a one time event. Brian Gray and his team over at Leaf are very in tune with what collectors enjoy. I’d say that they’re one of the most flexible companies in the industry. The way they can create cards for collectors at the height of a pop culture moment is truly astonishing. 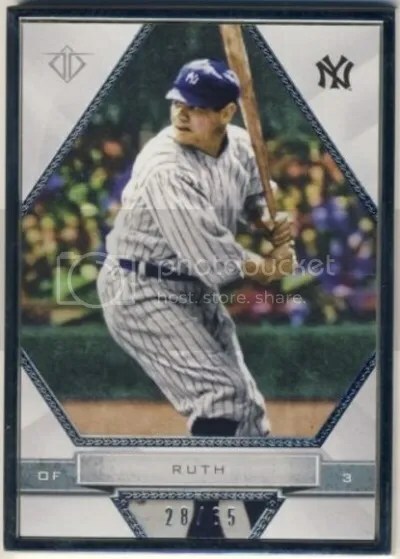 Even if you’re not a baseball fan, its almost impossible for you not to know who Babe Ruth is. Its Babe Ruth for crying out loud. 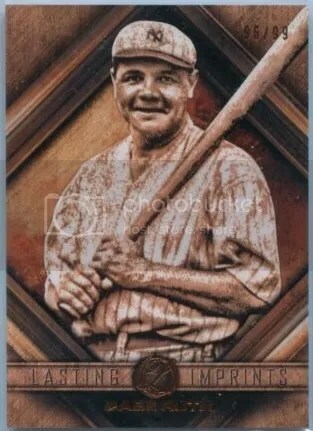 A perfect example of the type of niche products they make would be 2017 Leaf Babe Ruth Immortal Collection. For around $200 per box you get (2) base, (2) original Yankee Stadium seat relics, and (2) Babe Ruth game-used bat relics. One bat piece will be from a Yankees bat, and the other from a Boston bat. Where this product really shines is in the design and photography. All cards are printed on thick white card stock. They contain just a titch of foil to distinguish between the parallels. What stands out to me are the photographs. Seeing that Leaf doesn’t have a license to use MLB team names and/or logos, you won’t find the words “Yankees” or “Red Sox” on any of these cards. I usually stay away from unlicensed products, but given the wide variety of photos Leaf used you almost forget about it. 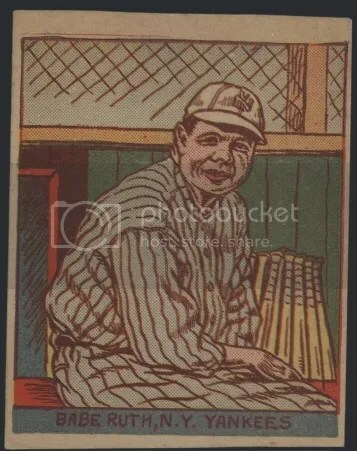 Sure, there are tons of pictures in here of Babe Ruth playing baseball. Its the photos of him doing other things that make these cards stand out. My favorite is the one of him signing a baseball. Others show him playing football, boxing, fishing, and golfing. Major “hits” include a cut signature, bat barrel, and bat knob. Depending on which part of the bat the piece is from can have a drastic increase in price. Bat relics numbered 1/1 seem to almost pay for the box itself. Collectors have been spending big money on the redemptions.